Beach Volleyball: The California Beach Volleyball Association (CBVA) will be hosting tournaments at the International Surf Festival this weekend in Manhattan Beach featuring Coed A and AAA, Mens unrated and B along with womens A division on Saturday and men’s and women’s $1,500 Open on Sunday. 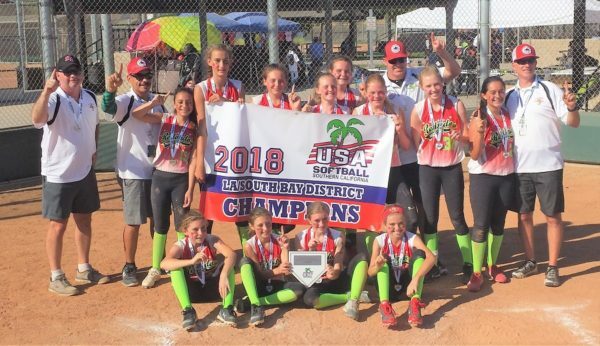 On Wednesday, Aug. 8 at Rosecrans Avenue, boys and girls will compete on 12U, 14U and16U divisions. The CBVA will be holding its final stop of the 12 event Premier Tour for juniors at the Hermosa Beach Pier Saturday and Sunday, Aug. 18-19. Bid winners compete in the championship on Saturday, Aug. 25 at the Manhattan Beach Pier. Visit CBVA.com to register. Baseball: Beach City Baseball & Softball Academy will offer four weeks of camps during July and August. Open to boys and girls ages 5-12, the baseball and softball camps will focus on drills that will improve fundamentals of: hitting, outfield, infield, base running, sliding, and more. The El Segundo Camp (430 E. Grand Ave., El Segundo) will be held Aug. 13 – 17.. Tms.ezfacility.com/OnlineRegistrations. Catalina Classic Paddleboard Race: The 40th annual Catalina Classic Paddleboard Race starts Sunday, Aug. 26 at 6 a.m. at the Isthmus cove on Catalina Island and finishes at the Manhattan Beach Pier. Top paddlers are expected to finish the 32-mile race in just over five hours. Over 100 paddlers are expected to compete. For more information visit CatalinaClassicPaddleboardRace.org. Beach Tennis: The Beach Tennis Association (BTA) holds its Endless Summer tournament Aug. 25-26 and the Indian Summer tournament Sept. 15-16 in Hermosa Beach. Winners will compete in the BTA US Championship Nov. 3-4 in Hermosa Beach. A Beginner Class will be held Monday evenings 5:30-7 p.m. Aug. 13 – Sept. 3. For more information, contact Donny Young (310) 753-2834 or visit beachtennisassociation.net. Volleyball: The United States Youth Volleyball League (USYVL) is holding registration for the 2018 fall program in Hermosa Beach. Boys and girls ages 7-15 have the opportunity to learn and play volleyball. The eight-week developmental league provides instruction while practices and games operate in a coed format. The league runs Sept. 10 through Oct. 29 at South Park. Practices for the league will be held on Mondays 5:30 – 6:30 p.m. and games on Wednesdays 5:30 – 6:30 p.m Registration is available online at usyvl.org and includes a volleyball, t-shirt, and end of season participation award.